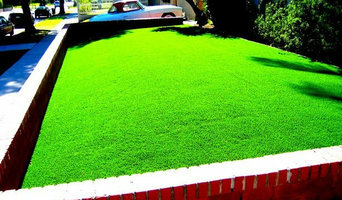 Grech's Turf Supplies have been growing only the best quality turf since 1975. 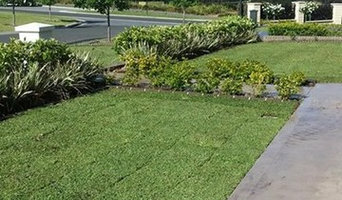 We stock only premium turf varieties and are part of Lawn Solutions Australia. We are proud to comply with stringent AusGAP Certification requirements. Our friendly and helpful staff pride themselves on their knowledge and ability to help you decide which turf is right for you, and they are always available to help with any advice or issues you may have in the future with your turf. We're open for business 6 days a week. Schmick Mowing and Lawn Care loves your lawn more than you do. We treat every garden as if it is our own. We are a family-owned and operated business, based in the Hawkesbury Valley, a fertile area known for its quality turf farming. When we established the Rivers Edge Turf name in 2007, we already had nearly 15 years turf-growing experience under our belts. 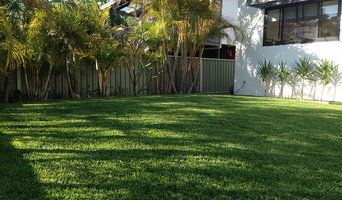 We exist to provide quality instant lawn Sydney wide. Here, by the edge of the famous Hawkesbury River, we cultivate the lawn that we then deliver to and install for you. Rivers Edge Turf, Sydney turf suppliers, have the experience and the lawn to suit your needs, whether you have a shady corner of the garden to fill, a big backyard that catches the full summer sun; a large commercial landscaping project, or a full-sized football field. We pride ourselves on taking great care when installing, and treat every job as if it were our own backyard. Our priority is to make sure our customers are fully satisfied. Associated turf is a leading turf supplier in the Sydney metro and surrounding areas for over 35 years. Northern Beaches Garden Care is the go to company if you're looking for expert care of your garden on the Northern Beaches of Sydney NSW. We provide expert and quality garden services, including: landscaping, excavation, gardening, turfing, rubbish removal, lawn mowing, sprinkler systems, high pressure cleaning, tree services and we'll even clean your gutters for you. Give us a call today on (02) 8488 8080 and let us take care of your garden. Atlas Turf is a family owned business operating two farms in Sydney and one on the Central Coast. We have over 30 years experience in the turf industry and are specialists in growing varieties of buffalo turf including Australia’s no. 1 lawn choice Sir Walter Buffalo. We supply turf for both the commercial and residential markets across Sydney, South Coast, Central Coast and Hunter Valley regions. Why should I hire a Croydon, NSW, AU lawn care services company? Lawn care services in Croydon, NSW, AU will be able to maintain large lawns by installing sprinkler systems for you and carrying out lawn treatments to keep your grass healthy and green. If you have a particularly large outdoor space to tend to, it could be worth hiring a Croydon, NSW, AU groundsman to come and weed your lawn, remove moss and care to your sprinkler system on a regular basis. However, for most of us this probably won’t be necessary, but it doesn’t meant that you won’t need a lawn care professional at some point. For example, when planning a garden makeover you may need their services if you intend to include a patch of grass in your garden design. Lawn specialists can lay new grass and advise you on new lawn care so that you can keep your patch of grass, no matter how small, healthy and green for as long as possible. Or, if you inherit a lawn from a previous owner but aren’t sure what to do in the colder months, speak to Croydon, NSW, AU lawn care services about winter and autumn lawn care. 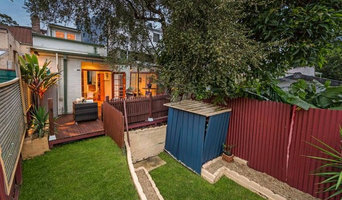 You may find that the groundsman or lawn care services professional you speak to also works closely with Croydon, NSW, AU landscape gardeners who can help you with more aspects of your garden renovation and sprinkler system. Here are some related professionals and vendors to complement the work of lawn & sprinklers: Landscape Architects & Garden Designers, Landscape Contractors, Garden & Landscape Supplies. Find a lawn and sprinkler specialist on Houzz. 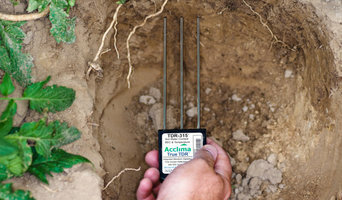 Narrow your search in the Professionals section of the website to Croydon, NSW, AU lawn care services, groundsmen and sprinkler system companies. You can also look through Croydon, NSW, AU photos to find examples of lawns and sprinkler systems that you like, then contact the Croydon contractor or groundsman who worked on them.